KARACHI: Deputy Commissioner South Syed Salahuddin is seen with defending champions Bounce Club outfit along with KBBA president Ghulam Mohammad and PSWA’s Khalid Shamsi at the opening of the 13th National Basketball Cup. 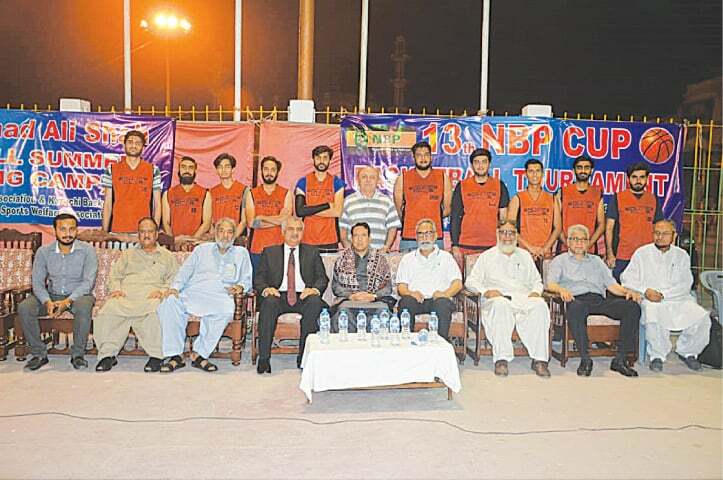 KARACHI: Defending champions Bounce Club began its campaign with brilliant 52-35 win over Karachi Colts in the 13th NBP Cup basketball tournament which commenced here on Sunday at the Arambagh courts. Ziaullah with 16 scoring points was the architect of Bounce Club victory. He was well assisted by Mubashir Hassan (10 points) and Muzammil Hasan (7 points). For the Colts, Safeer Hussain excelled on the court with 18 points. 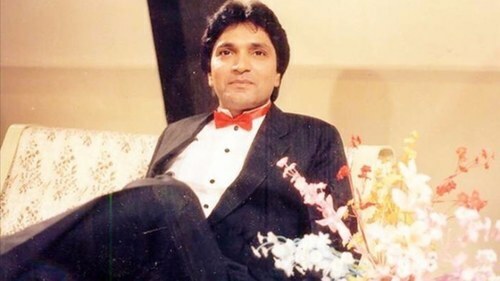 Mahmood Ali scored ten points. In the second match of the day, Nishter Club beat Clifton Sports 52-32. Talha Amjad (15 points) was the main scorer for Nishter Club while Hamza Sheikh also scored 15 points and Mohammad Shabbar scored eight points. For Clifton Sports, Sameer Khattak played well to score 15 points while Nauman Ahmed scored eight points. In the third match of the day, Neighbourhood Club beat One Unit Club 52-33 with Hamza Ali (18 points) being the star for the winners. Tafsheen Ali (15) points excelled for One Unit Club. In the fourth game, Malir Trojans beat Askari Alphas 42-38. Major Imran (15 points) and Major Fahad (8 points) were main scorers for the winners. For the losing side, Shahmeer Zaheer (12 points) and Syed Bakhtiar (11 points) were the best players. Twelve leading basketball team are competing in the tournament which has been organized by by Pakistan Sports Welfare Association. The final of the tournament will be played on July 23. Deputy Commissioner South Syed Salahuddin Ahmed Basketball Championship was the chief guest on the occasion and inaugurated the tournament in presence of a sizeable crowd. Karachi Basketball Association’s president Ghulam Mohammad thanked the deputy commissioner for his patronage of sports and said that KBBA is known for staging regular activities and events for promotion of basketball in the city.